Outlook Express (.dbx) Finder is a powerful application programmed to render the bulk searching of DBX files from multiple machines sharing the same network environment. Find the collection of Outlook Express DBX files from different machines sharing a common Network Domain. Representation of all machines in connection performed for easy access and search of DBX files from within. Get to copy and relocate DBX files found from the enlisted machines to a common folder path on a machine of your choice. Outlook Express installation on the performing machine as well as connected machines is not necessary. Automatic generation of search and file relocation provided by the software that can be saved as CSV file too. The trial enlists the searched machines and offers a preview of the files found from the machines. DBX files are generated by Outlook Express, which is a desktop emailing, and new feed application. The client enables users to communicate through emails right from their desktop. The email storage of the same is done in a .dbx format file, which represents a respective email folder. Each email folder is represented by an individual DBX file of its own consisting of the collection of messages stored within. However, being an outdated client it is no longer in functional use. Nevertheless, the data can be maintained as an archive in order to prevent compromising it. Manual maintenance of the same can be a little tiresome as far as multiple machines are involved. The application featured here, Outlook Express (.dbx) Finder helps in easing out the entire process. Machines sharing the same network domain are detectable by the application with the mere provision of Domain Credentials. Further, the tool offers to search for DBX files within each of the enlisted machines for their relocation to a common machine of the user’s choice. 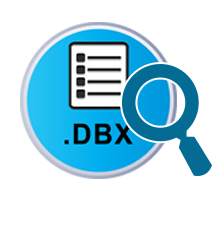 The application is globally recognized and accepted for its high-end standard of finding DBX files quickly and easily from network-attached machines. What are the requirements to run the application smoothly? You need to be aware of the Network Domain credentials to which all the machines are connected while the rest is handled smoothly by the software. Is it possible to move only selective DBX files? Yes, you can move all or selective DBX files as per your requirement by using the checkboxes provided against each DBX files found by the tool. Will I be able to choose a particular drive to search for DBX files? Yes, the software features the option to either select entire hard drive to be searched or a particular partition of the user’s choice.